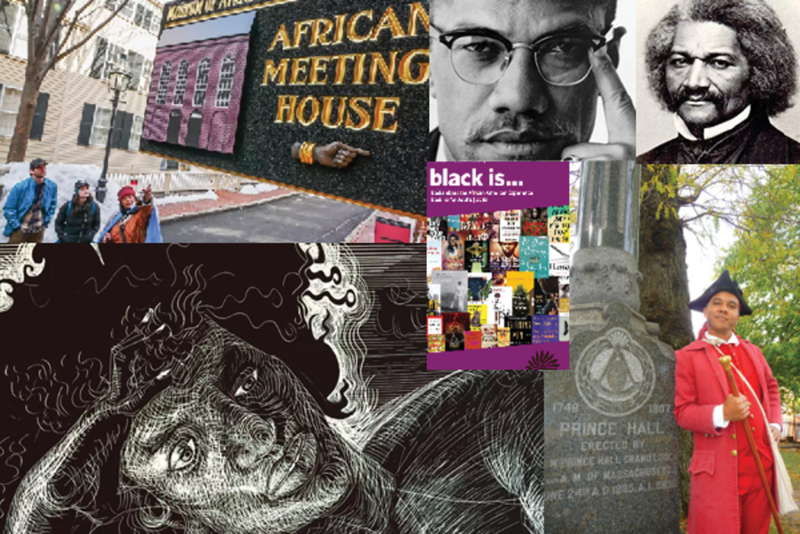 Black History Month in Boston is an opportunity to celebrate the iconic array of African-American thought leaders that have impacted Boston and American history. This celebration, and education, is a year-round endeavor, but come each February we should emphasize to our children, visitors, residents, and families how seminal figures such as Phillis Wheatley, Frederick Douglass, Martin Luther King, Jr. and Malcolm X all had Boston connections. February is a time to remember these famous figures, as well as local citizens, and celebrate how they shaped the social, political, and cultural history of the city and the nation. This history, like so much in Boston, is at your fingertips as a vibrant network of landmarks reveal the rich and enduring legacy of African-Americans. A stroll through beautiful Beacon Hill, whic h emerged as a thriving hub for Boston’s black community in the antebellum era, is the place to start. Explore the Black Heritage Trail and learn how Beacon Hill was a central artery of the Underground Railroad, where fugitive slaves sought refuge in the homes of prominent black leaders like Lewis Hayden and John Colburn. The Trail will take you to 14 locations in all, including the Abiel Smith School which was the first school in the nation that was constructed for the sole purpose of educating African-American children. Next to the school, step inside the African Meeting House and recall that fateful morning over 150 years ago when the 54th Massachusetts Regiment, one of the first black regiments in United States history, was recruited and formed within those walls. At the Meeting House you may detect the enduring resonance of a fiery 1860 abolitionist speech delivered by Frederick Douglass. The Museum of African-American History has extended its featured exhibition, Picturing Frederick Douglass, through 2018. You should also experience the Freedom Trail Foundation’s African-American Patriots Tour, which departs from the Boston Common Visitors Information Center every Saturday and Sunday through February at 12:45pm. 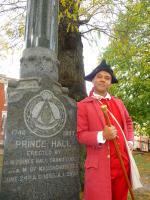 This 90-minute tour details the civic valor and defiance of figures such as Crispus Attucks, Peter Salem, and Prince Hall, while visiting historic locales like the Old South Meeting House, the church of Phillis Wheatley, who was the first African-American woman to publish a literary work in 1773. Explore these stories and more throughout Black History Month. On February 1, at the Boston Public Library’s Newsfeed Café, you can check out Art & Activism, which runs from 5:30pm – 8pm and includes a pop-up art show featuring exciting and aspiring black artists in Boston. After the pop-up, author, educator and lecturer Kevin Powell will discuss the civil rights movement while focusing on the life of Dr. Martin Luther King, Jr. On February 5, the Berklee Ensemble Depart kicks of its Black Gold Series in collaboration with the Center for Diversity, Equity, and Inclusion. The concert will take place at the Berklee Performance Center with a setlist composed of historically black music including Afro-Caribbean genres and the music of Duke Ellington and Dizzy Gillespie. 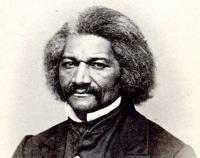 Head to the Moakley Courthouse on February 14 for a panel discussion on the life and legacy of Frederick Douglass. The forum will feature historians from Harvard and Emerson, as well as the former Chief Justice of the Vermont Supreme Court. The following day, at Hibernian Hall, a production of Ntozake Shange’s 1976 choreopoem “For Colored Girls Who Have Considered Suicide/When The Rainbow Is Enuf” will open with 12 performances running through February 25. February ends with a screening of The Lost Tapes of Malcolm X at the African Meeting House on February 28. 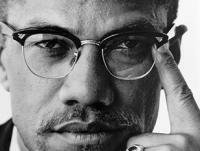 The film is the latest Smithsonian Channel documentary on Malcolm X. A panel discussion will follow the screening. Ultimately, Black History Month in Boston is a time to learn and remember. Dr. Martin Luther King, Jr. received his Ph.D. from Boston University in 1955 and often referred to Boston as his second home; it was here where he met his wife, Coretta Scott, who was a student at the New England Conservatory at the time. When King returned to BU in 1964 to donate some of his papers to the school he spoke of Boston’s special role in the nation’s effort to achieve equality, including the robust abolitionist movement that flourished in Boston in the decades before the Civil War. Now, there are efforts in Boston to erect a monument to Dr. King. Given this city’s nearly 400-year history of civic and political activity the time is now to commemorate the legacy of Dr. King, and the time is now for visitors and locals alike to explore the monuments, museums, and trails in Boston that celebrate African-American history.